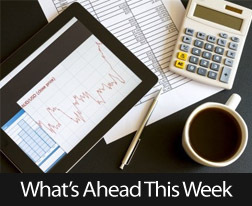 Last week’s economic data was hit and miss as mortgage rates ended the week slightly lower. The minutes for last month’s FOMC meeting were released, and confirmed the Federal Reserve’s intention to leave its quantitative easing program unchanged at least for the near term. The National Association of Homebuilders Wells Fargo Housing Market Index for November indicated that builder confidence, while still positive, dipped by one point to a reading of 54 as compared to an anticipated reading of 55, and October’s revised reading of 54. NAHB noted that uncertainty over the federal budget and political gridlock may have kept builder and consumer confidence levels from achieving further gains in November. We have a holiday shortened week with the bond market closed for Thanksgiving on Thursday and closing early on Friday. Economic reports include Durable Goods, Weekly Jobless Claims and Consumer Confidence/Sentiment. Wednesday will be the most important trading day of the week as many traders will set their positions going into the long weekend. Trading will be light late Wednesday and Friday.